Hope's Cafe: 1001 Wall Clocks.com Check Out This Site! Isn't it gorgeous?? I love the dark blue colors, and the intricate detailing! Well worth the extra to have something this beautiful hanging on your wall for years to come. 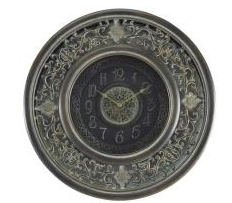 So, if you're in the market for a clock, would like something a little nicer than the average wall clock for your home, or need a great gift for someone, check out 1001WallClocks.com today! Disclaimer: I have not purchased from 1001WallClocks.com. All thoughts and opinions are my own. Thanks for the info, I do like wall clocks. These are so much more interesting than boring digital clocks. My clocks are so plain! 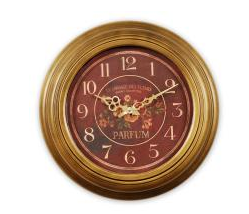 I'd love to change out at least one of them for one of these beautiful clocks.